Finding that your furnace is on the fritz mid-winter is every Denver homeowner’s nightmare. But don’t worry, we’ll walk you through some easy DIY troubleshooting that just might save you money on a service call. We’ll show you what you can do to fix the problems above and get your furnace fired up ASAP. If you’d rather not deal with these DIY options, schedule your appointment with one of our trusty techs. Your thermostat “talks” to your furnace and tells it when to turn on and off. So if your furnace isn’t kicking on when you expect it to, it’s likely that something’s preventing your thermostat from giving the “SEND HEAT” command to your furnace. Check that your thermostat has power. If the display is off, change the disposable batteries. Turn up the set temperature to its highest setting and make sure that the thermostat is on RUN mode instead of HOLD or STANDBY mode (to turn off HOLD, press the RUN mode button). If you’ve followed these steps but your furnace still won’t turn on, continue on to check for electrical issues. Next, check to see if your furnace is actually getting the electrical power it needs to turn on. 2. Locate the main electrical panel (usually in a basement, garage, outside or in a closet) and look for the circuit breaker labeled furnace or heat. Make sure the breaker switch is in the ON position. 3. If the circuit breaker is in the middle or the OFF position, press firmly to the ON position and check for power. Note: If the circuit breaker immediately pops back to the OFF position, leave the breaker alone and have a professional inspect the circuit breaker immediately. 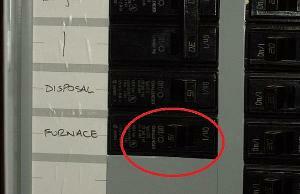 Your furnace will have its own circuit breaker at the main panel. Make sure it’s in the ON position. 4. Check that the inspection door is closed properly. Some modern furnaces have safety switches that detects an open access panel and will cut power to prevent fires. An open access panel (shown here) will prevent some modern furnaces from starting. If your furnace is a gas-fired furnace, you need to check your fuel source. Check that your gas is turned on and that the gas valves servicing your furnace are working properly. If you have a high-efficiency furnace (90 AFUE or higher), it creates condensation. Usually the condensate pan (or “drain pan”) underneath your air handler catches and drains away all that moisture. But if that system gets clogged and the pan overflows, the condensate pan overflow switch shuts off power to the air handler. Note: not all condensate pans have a float switch. If your condensate pan doesn’t have a device installed similar to the one below, skip to the next section. Locate your indoor air handler (usually in an attic, basement or closet). Check the tray underneath the air handler. Remove any standing water. This should automatically restore power as the switch will now settle to the bottom of the pan, allowing for electrical power to flow to your air handler again. If the switch doesn’t reset after water is removed from the tray, have a professional inspect the switch. It may need to be replaced. Gas-fired furnaces can potentially leak dangerous gases, like carbon monoxide, into your home. 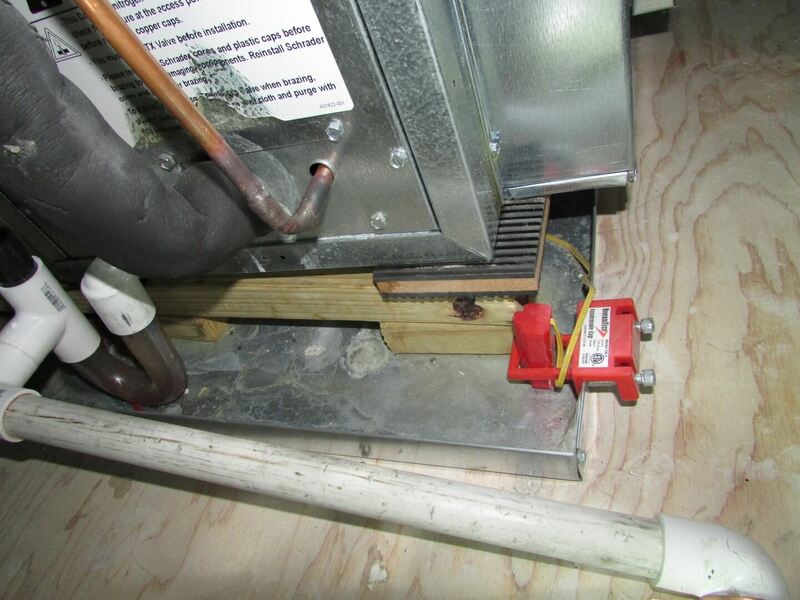 Newer furnaces have “flue gas spill” switches that prevent this leakage from harming your family. In other words, if this switch senses that flue gases aren’t properly venting into the outdoor air, the switch will cut power to the furnace. 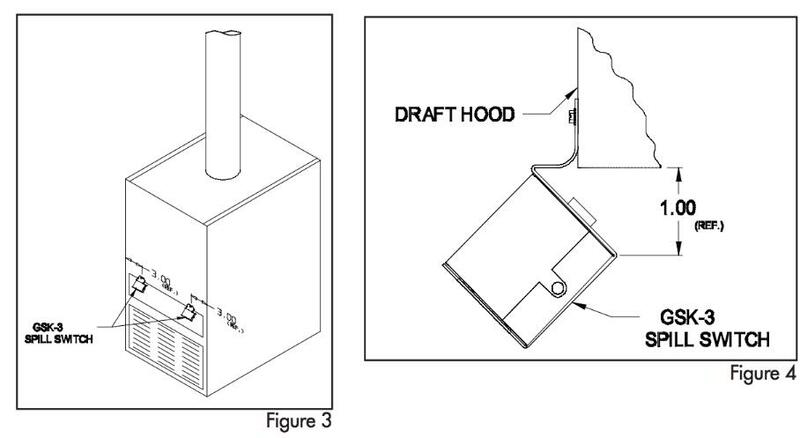 Locate the switch (usually on the furnace draft hood). If the switch is in the safety OFF position, call a professional immediately. Don’t attempt to reset this button. If the switch is off, it’s off for a reason. Resetting it could allow more dangerous gases into your home. If you’ve checked for all the issues above, you’ve exhausted your DIY efforts and need to call in a professional. Luckily, if you live in Denver or the surrounding areas, experienced and reliable techs are just a phone call away. Schedule your appointment with Plumbline today and we’ll get your furnace working in no time.